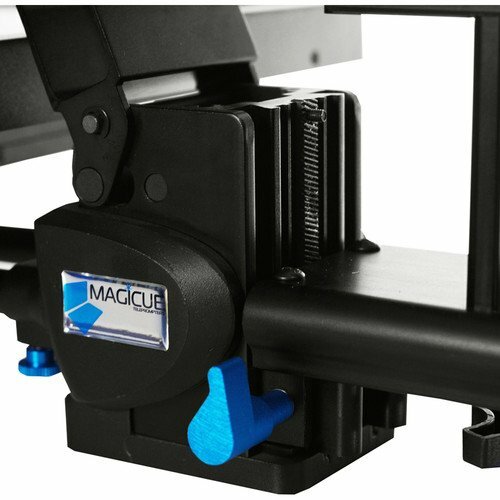 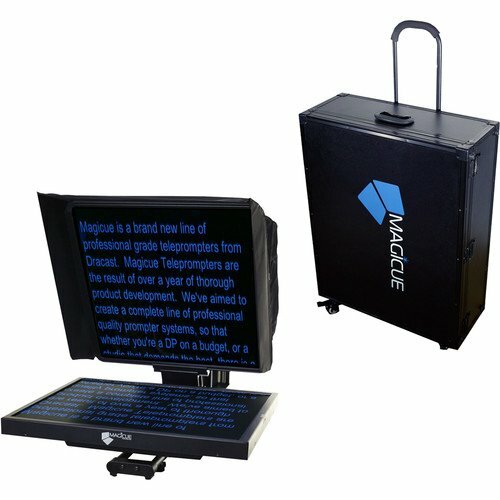 The MagiCue Studio 17″ Prompter with Pro Software Kit is a complete modular solution that supports cameras ranging from mini DV to ENG. 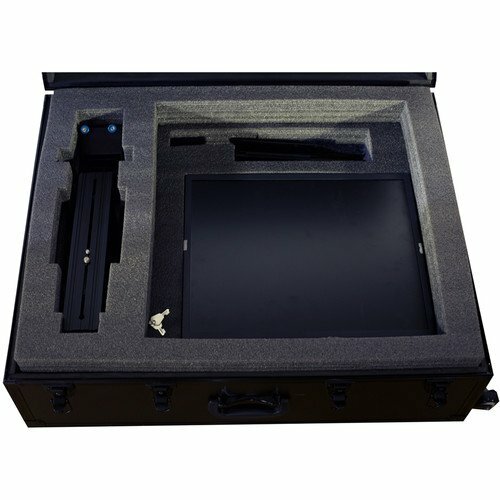 The 17″ LCD monitor offers HDMI, DVI, VGA, and Composite inputs along with an HDMI output and fits into the included aluminum skinned plywood hard case which comes with a custom cut foam insert. 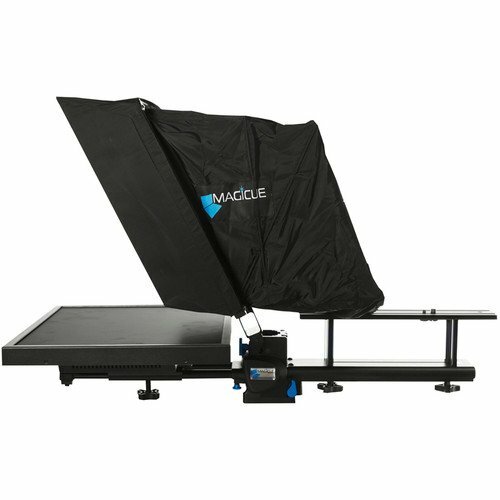 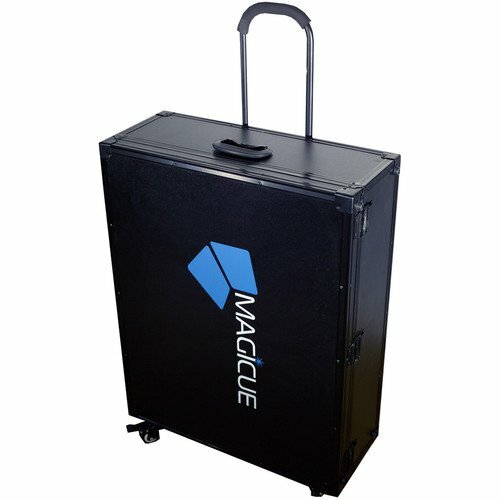 The kit works with any standard size tripod that supports the required payload capacity and comes with Downloadable PC/Mac compatible MagiCue Pro software, which is suited for small studio setups and on-the-fly revisions is also part of the teleprompter package. 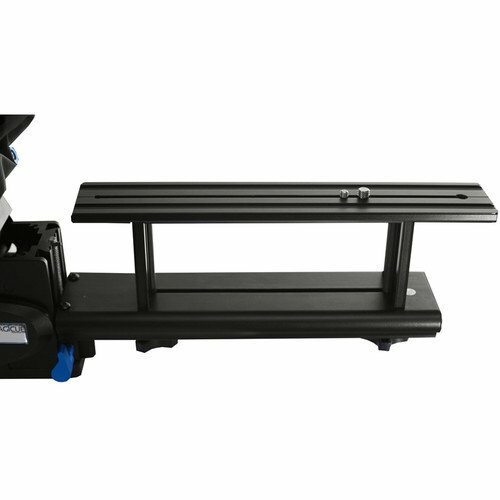 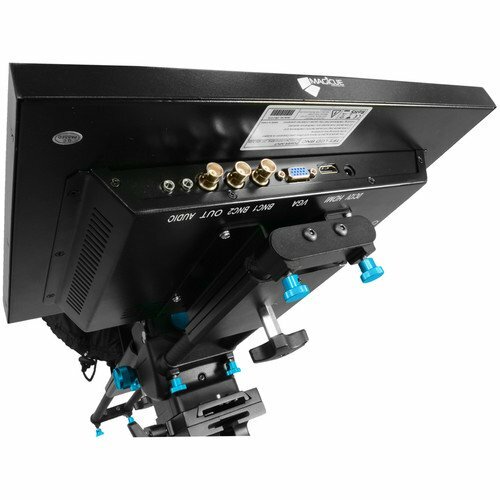 The modular design of the teleprompter allows for riser-less positioning, allowing the camera to remain stationery while letting the pad and hood unit be lowered into an optimal viewing position. 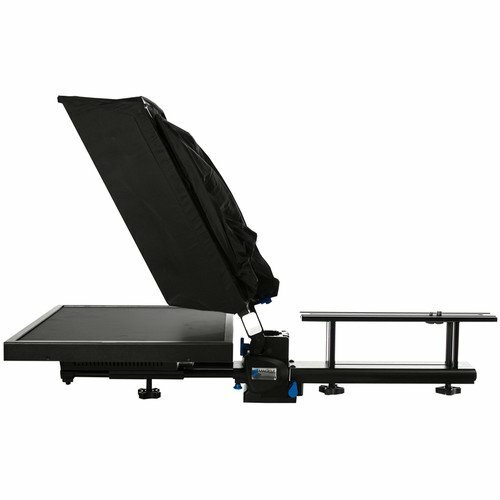 A 60/40 beam splitter glass clearly displays scrolling text from up to a 17 ft reading range. 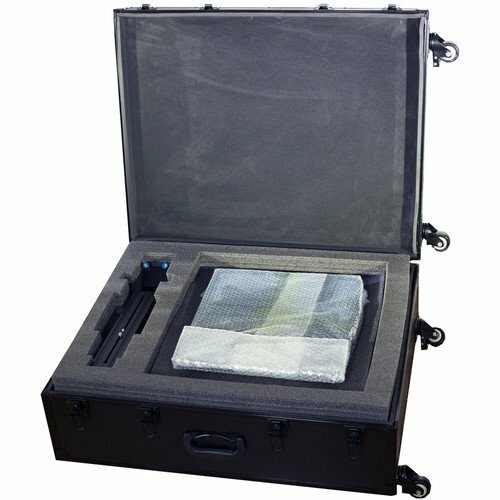 The kit provides a toolless assembly / disassembly and folds flat for convenient storage and transport. 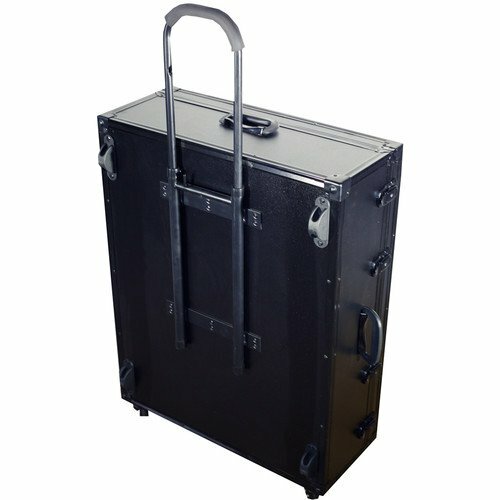 Box Dimensions (LxWxH): 33.5 x 24.5 x 12.2"